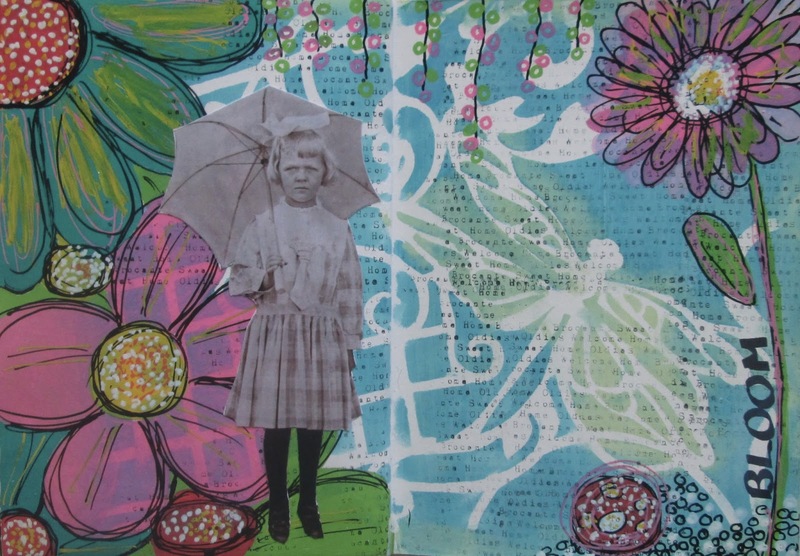 I wanted to show you how to use a stencil in your Art Journal. I chose a large size to make the background with two colors of distress inks. 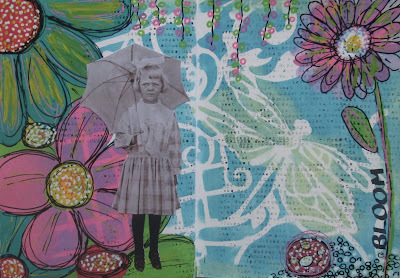 After inking the stencil, draw large flowers with Posca pencils and add a pretty vintage picture.